“BOSSES DON’T FOLLOW WE LEAD” it’s the tagline which is the driving force behind the success of the Nashville-based clothing line of the same name. Bosses Don’t Follow We Lead is the online urban style clothing wear company that offers customers the latest fashionable pieces of hats, polo shirts, hoodies, caps, tees, jackets, pants, unisex attire, kids clothing and even more. “We have so much stuff. We even have coffee mugs with our ‘Bosses Don’t Follow We Lead’ logo,” says company founder Gene Gates from his Nashville area studio and office. According to Mr. Gates the company will soon be launching a collection of breast cancer awareness fitted shirts for ladies, along with some baseball jerseys with the company logo. So far, sales have been brisk, with company founder Gene making a round of media appearances on radio, print, TV and online media. He’s appeared on shows as far away as Atlanta and been featured in national online magazines such as One Hundred Magazine and G. Mix Magazine. Apparel orders are coming in from customers throughout the U.S. and even the Caribbean. KillaMuzik Entertainment (KME). Two years later he broke out his own label and launched his own record label, Dirty Souf Records. One year later, he hooked with local apparel company Demitrius Designs. This pivotal meeting would be the catalyst for the Bosses Don’t Follow We Lead company. His original goal for the company then and now is to inspire others to reach for their dreams regardless of their current situation or background. The company also has an extreme emphasis on education, which is one of the top priorities for Gates, since he’s a single parent dad of a son. He says many of his son’s friends often look up to him as a positive role model. “You know, many of the kids just don’t have anyone in their lives to look up to,” says Gates. “We’re trying to maintain a good positive image to keep them encouraged and to know they too can also live their dreams. There was a time when I was just like them. A kid living in the projects who had big dreams and now they’re coming true.” The clothing line keeps Gates more than busy but he still hasn’t given up working in the hip hop world. Recently, he worked on a music project with rap recording star LiL-Vac, and several other local Music City rap acts. 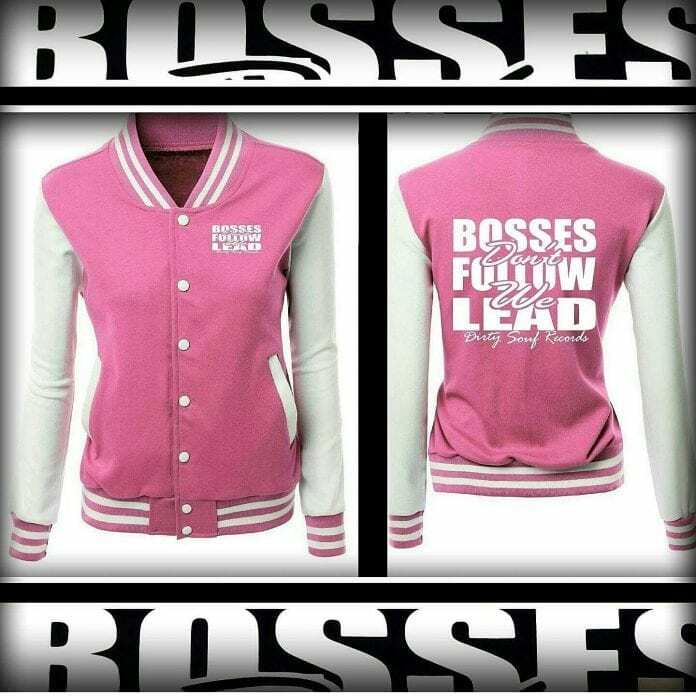 Bosses Don’t Follow We Lead items can be viewed and purchased on Instagram and Twitter using these handles: @genedirtysoufrecords and twitter @dirtysoufrec #Bossesdontfollowwelead or send Gene an in-box request about merchandise at: getmygear@yahoo.com.